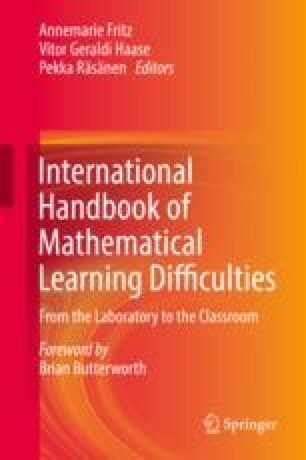 This chapter describes the situation of learning and teaching mathematics in some Latin American countries, especially those that participated in the Programme for International Student Assessment (PISA) in recent years. We describe rates of poor performers in mathematics that vary from 49.4% to 70.3% in Latin American countries. Most of the countries in the region have failed to maintain all children in schools and to provide good-quality teaching. Then, the scarce research on mathematical learning disabilities (MLD) in the region is described, together with prevalence studies, which indicate rates of MLD that vary between 3.4% and 7.8%. While there is official recognition of children with special needs and learning disabilities in some of those countries, there is no mention of MLD. We conclude that there are urgent needs to improve school resources and mechanisms for teachers to identify students who are low performers in mathematics and those with MLD, and to provide resources for improving their performance.